Srijani Shilpagram is located in Santiniketan Sriniketan area at Bolpur in Birbhum District. 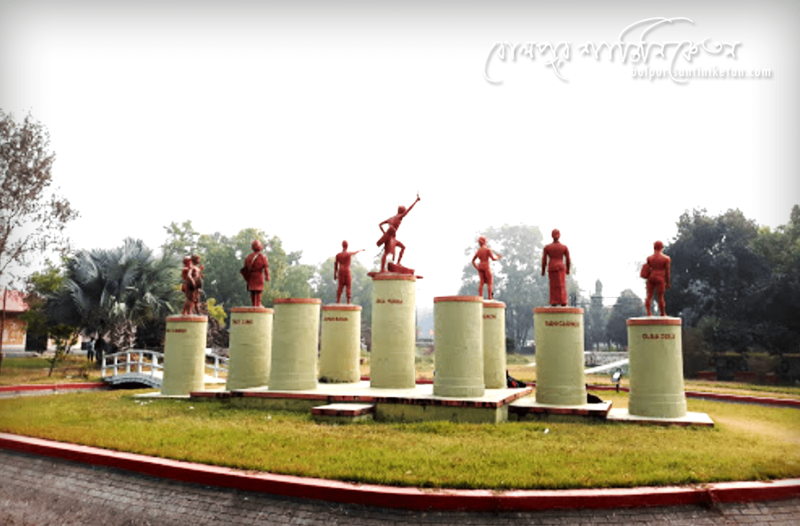 It is developed and maintained by EZCC (Eastern Zonal Cultural Centre). The cultures and traditions collaborate on the same platform to communicate with the artist of several Indian states. It creates a place for an art gallery for creative artists, artisans, and photographers. They arranged occasionally cultural programmes and exhibitions of artwork of wide India. They also organize cultural programmes and concerts in the outdoor arena in “Srijani”. The campus of the Shilpigram with delightfully decorated tribal huts all around the area, depicting the lifestyle of various indigenous tribes from different parts of India.